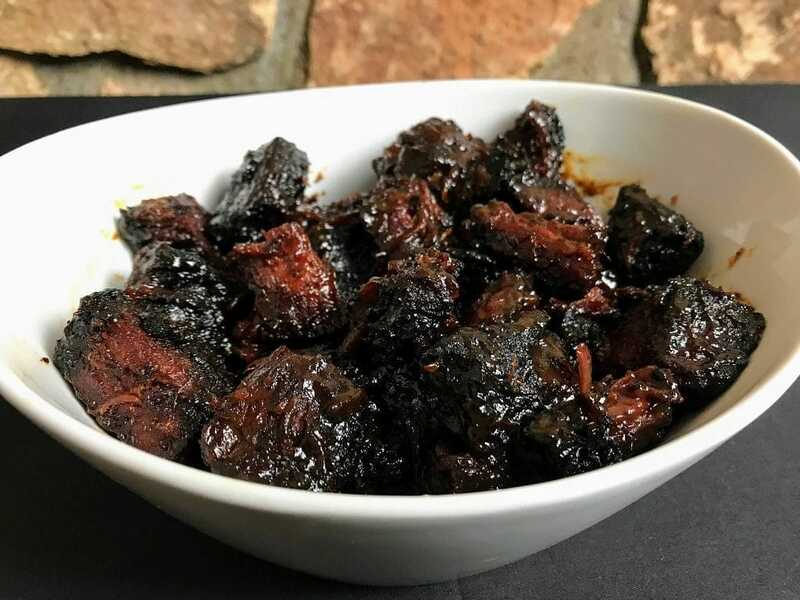 When you go a really good BBQ place, you should definitely try the burnt ends. They are usually made when smoking a brisket. You cut off the fatty end and cut it into cubes and then smoke it some more. 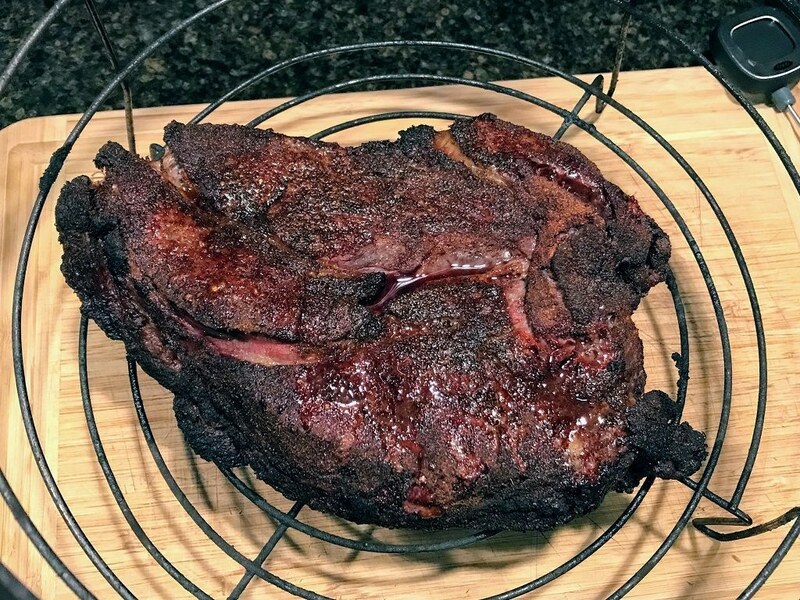 That works great if you’re a big BBQ joint and you’re smoking like 20 briskets. You’ll have plenty of burnt ends for your customers. But what about home smokers like me who just want to cook for the family? 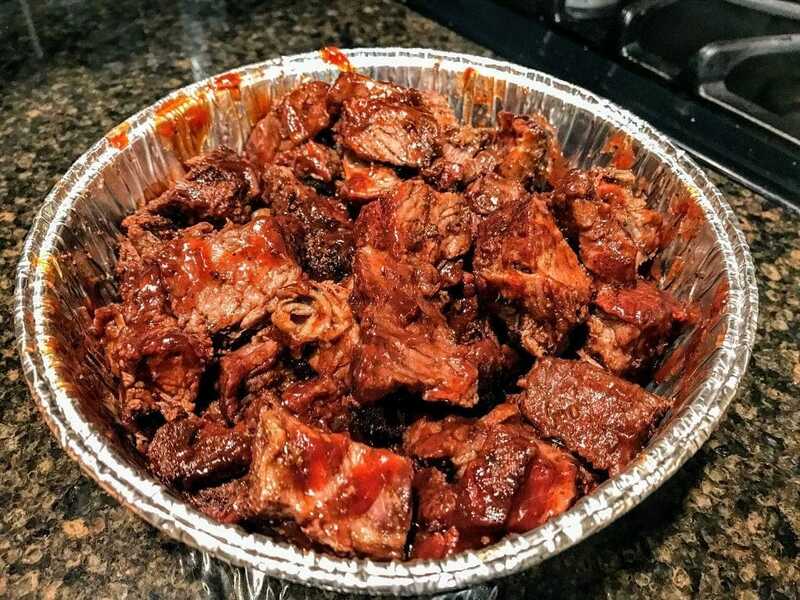 Well I found this poor man’s burnt ends recipe and I think it’s a great way to enjoy burnt ends at home. The difference with this poor man’s burnt ends recipe is that you use an entire chuck roast instead of just a small part of the brisket. This way my whole family can enjoy some burnt ends instead of just getting a taste. First thing I did was put a dry rub on the roast. In a pinch, I’ll use the Paul Prudhomme Meat Magic that you can get in almost any supermarket’s spice section. But if I have time, I like to make my own rubs. 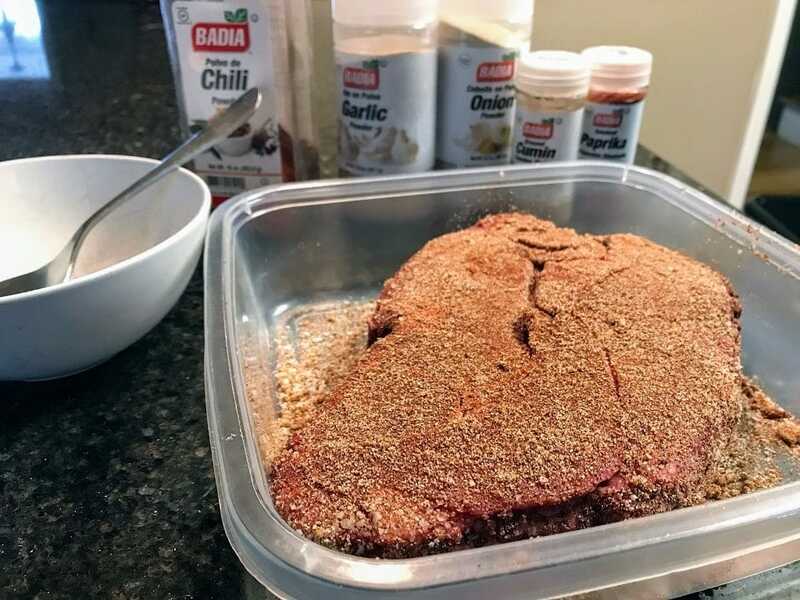 Here’s my dry rub recipe that I use for brisket and ribs too. Worked great for these burnt ends. 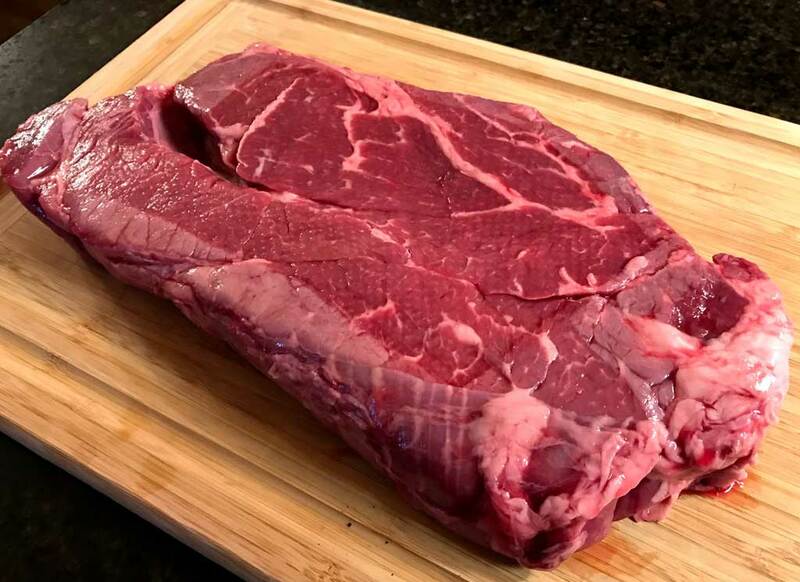 Next up, I put the chuck roast in the Char Broil Big Easy Smoker. I loaded the smoker box up up with some hickory wood and set the Big Easy to it’s lowest temperature. Smoke the roast until it reaches an internal temperature of about 160 degrees. Then remove it from the smoker and wrap it up with aluminum foil or butchers paper. Put it back in the smoker and you’re going to want to leave it in there until you get to about 198 degrees. That’s when all the connective tissues and other gross stuff in meat turns soft. That when you get that perfect chew. 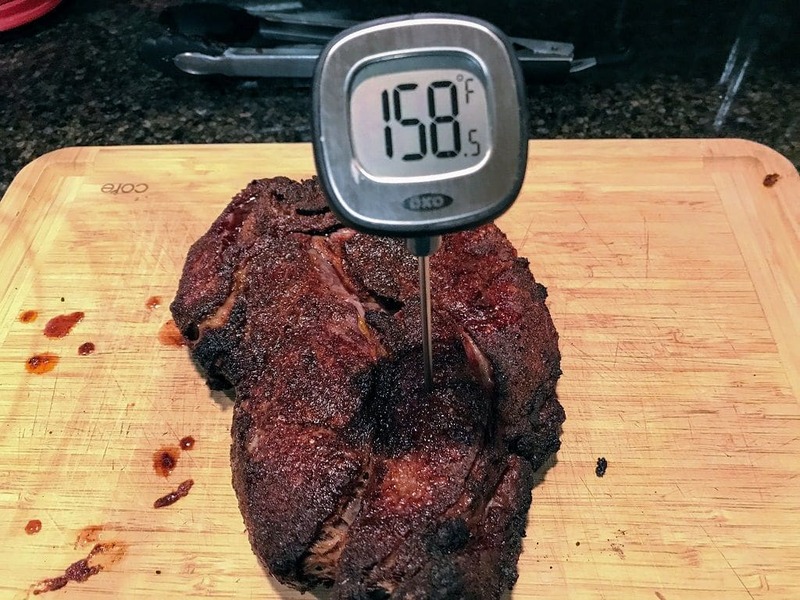 At about 198 degrees, I removed it from the smoker and let it rest for a while before cutting it up into cubes. Make sure you let it rest for a while or else all the juices will run all over your cutting board instead of staying in the meat. The cubes should be about 1/2” to 3/4” depending on how big a mouthful you want. Then I put the cubes into a foil pan. A pie pan up to 13” will fit in the Char Broil Smoker. Add a little more rub and some BBQ Sauce and cook them for another half hour to a full hour. Not too much BBQ Sauce or else it’ll be more like a stew. Just enough to lightly coat the pieces. When finished the cubes should be really tender and also have some char marks on them. Too many char marks and the burnt ends will too tough to chew. You really should watch them carefully during this last step. 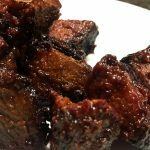 So with this poor man’s burnt ends recipe, you can make this any time you want and without any brisket. 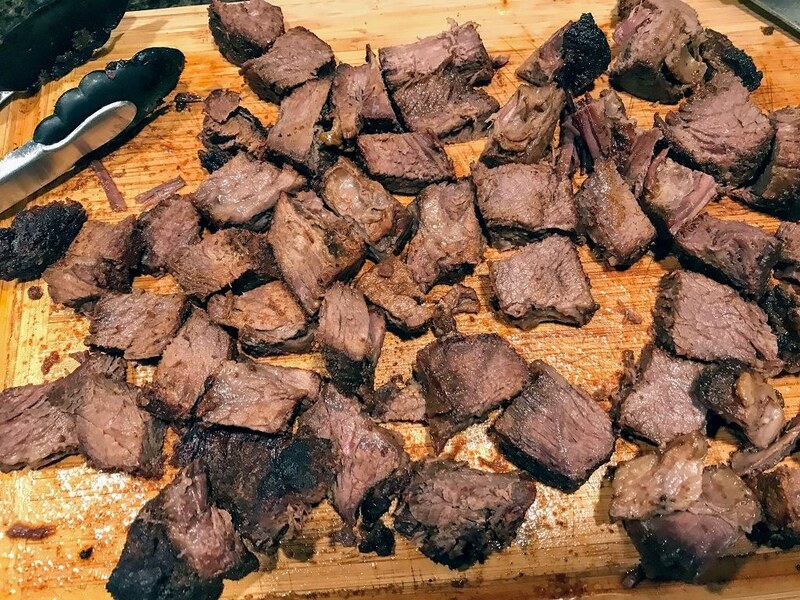 Poor Man's Burnt Ends are made with a Chuck Roast instead of a the fatty part of a Brisket. Return to smoker and cook for another 1/2 hour to hour. Pieces will be tender and have char marks on them when done. Do not overcook.